Welcome to Comfort Suites, your DFW Airport hotel with shuttle service, promising you seamless travel! Our hotel is conveniently located just minutes away from the airport, making your commute short and simple. Our free airport shuttle makes things even easier by providing you hiccup-free transportation available 24 hours a day, 7 days a week. Check with our front desk to find out when the next shuttle is leaving, sit back, relax, and enjoy your smooth delivery to the airport. 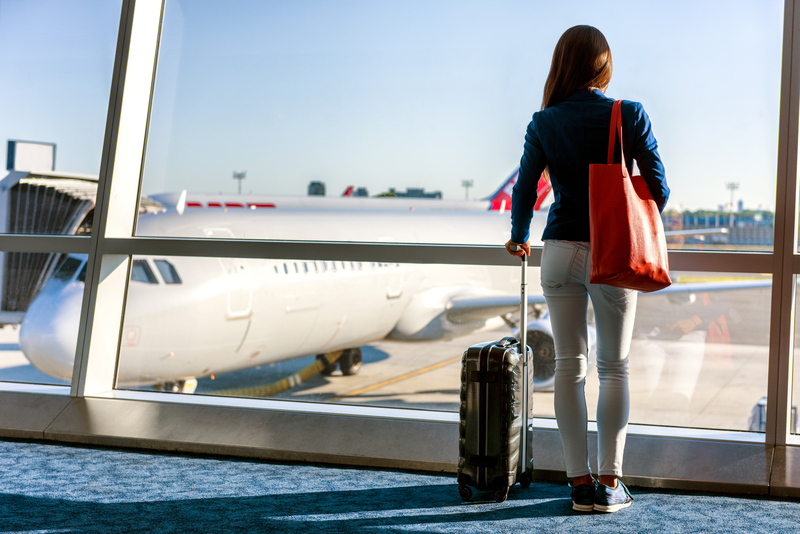 Stay at our DFW Airport hotel with shuttle service during your next visit to the Irving, TX area and enjoy free airport transportation, competitive amenities, and a central location. Once at the airport, enjoy a wealth of dining options, retail opportunities, and a range of services. In the way of dining, select from dessert options like Baskin-Robbins and Camille’s Ice Cream Bars, savory delights such as Banh Shop, Chili’s, Cool River Café, California Pizza Kitchen, and Auntie Anne’s Pretzels, and fast food favorites like Pizza Hut, Subway, McDonald’s, and Panda Express. You will also find coffee in excess at Peet’s Coffee & Tea, Starbucks, Dunkin’ Donuts, and more. In addition to all of the lounges located throughout the airport, if you are looking for some relaxation, look into the Massage Therapist posts which can be found at gates A25, D33, and E31. Charging stations are available throughout the terminals. Take a shower and refresh at gate D23 and find spas, banks, Western Unions, and TDD phones throughout the terminals. For shopping, explore any of the duty-free shops, tour the high-end storefronts like Coach and Hugo Boss, or get last minute travel essentials at 7-Eleven. Book your stay at our DFW Airport hotel with shuttle service today and take the stress out of your travels!